how to get rid of freckles with peels, IPL & laser freckle removal. How to get rid of freckles? We provide treatments for effective freckle removal. There are different treatment approaches to get rid of freckles. The number of procedures, cost and downtime vary. Chemical peels especially TCA peels are useful for freckle treatment. The most efficient is IPL or laser freckle removal. There are some creams which help fade freckles however avoiding the sun and wearing SPF 30+ is the most effective cream for fading freckles. IPL stands for Intense Pulsed Light and is a form of treatment that pulses light onto your skin. The light is absorbed into elements of colour (the brown in freckles), then turns to heat energy to break down the pigmentation. 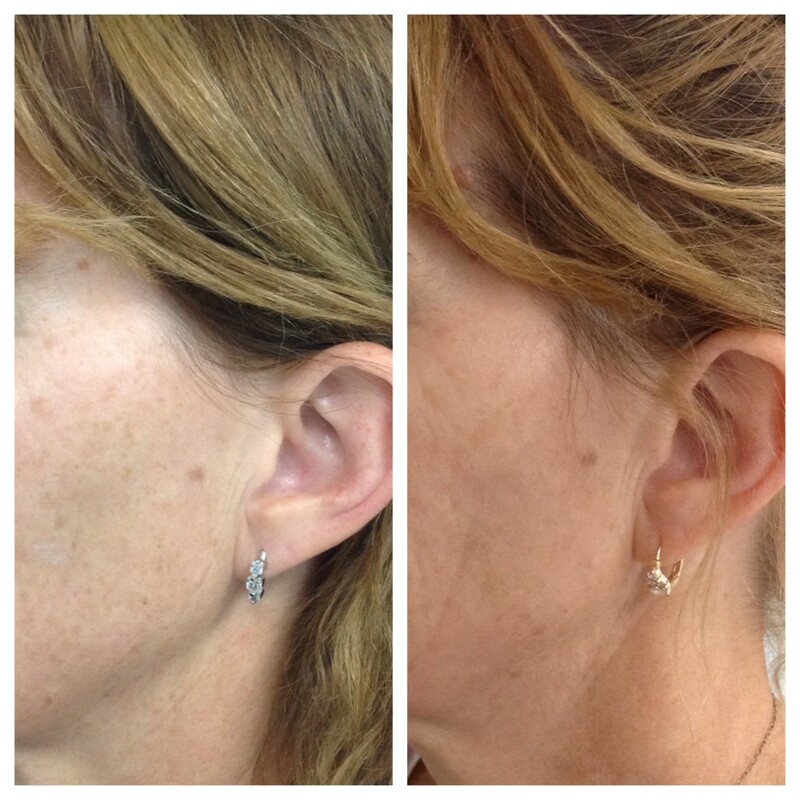 Laser freckle removal will target the pigmentation without harming the skin’s surface to create an evener skin tone. Cutera Limelight $330 for a full face. How to Remove Freckles With Laser and IPL? Freckles can be treated with laser and light therapy. Dark freckles respond quickly because they have more of the target pigmentation. With the Cutera limelight IPL, even very low contrast freckles fade, safely. The cost of Cutera Limelight IPL is $250 – $330. Facial peels work by targeting areas that are prone to sun damage, ageing or blemishes. Chemical peels can be worked into a comprehensive skin treatment plan, customised for your skin to treat a range of skin concerns while working to reduce the appearance of freckles. A facial peel to target pigmentation costs only $165 to $220. It is best to come in for a FREE assessment at the outset. Our team will listen to you to get a full picture of your history, skin care regime, concerns and goals. We will work with you to come up with the right approach for freckle treatment that will best meet your goals. Free Assessment with Our Team. With over ten years’ experience in the cosmetic industry, our team of professionals will work with you to create a treatment plan that will help you with your goals. Whether it ’s freckle treatment or therapies to fade and even pigmented skin tone, our treatments can be customised to fit your needs. Call 3350 5447 For A Free Consultation or Email Us With Any Queries. Freckles are small light to dark brown spots that appear on your skin at an early age. They are most common on the face, though they do occur in any body area. You are more prone to freckles if you have light skin, eye and hair colour. Freckles are the result of increased melanin (pigmentation in your skin). Sun exposure at a young age (UVB activates your skin cells to produce more melanin) causes freckles. With the high UV index in Brisbane freckles and other forms of skin pigmentation are common. If protected from the sun, freckles will fade to varying degrees. It is common in our Brisbane summer to notice freckles darken. As you move from childhood to adulthood, many people find their brown patches fade to a degree; both these scenarios are due to changes in UV exposure. However, without active freckle treatment they seldom disappear entirely. There are skin care products that help lessen and fade freckles, but there is no cream they will remove them entirely. Creams that contain Vitamin A, B & C, (and others) work in different ways to help, fade freckles. Wearing good sunscreen with SPF 30+ is vital. Lastly the addition of Vitamin A, either prescription from one of our Doctors or a good retinol. However, there is a limit to what skincare alone can achieve, and if you seriously want to get rid of freckles, you should consider IPL & laser freckle removal.